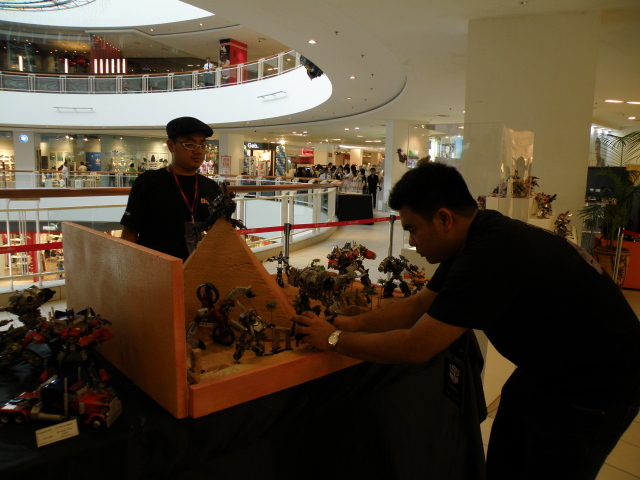 Transformers Convention at Queensbay Mall Penang Day 1 | Out of the box. 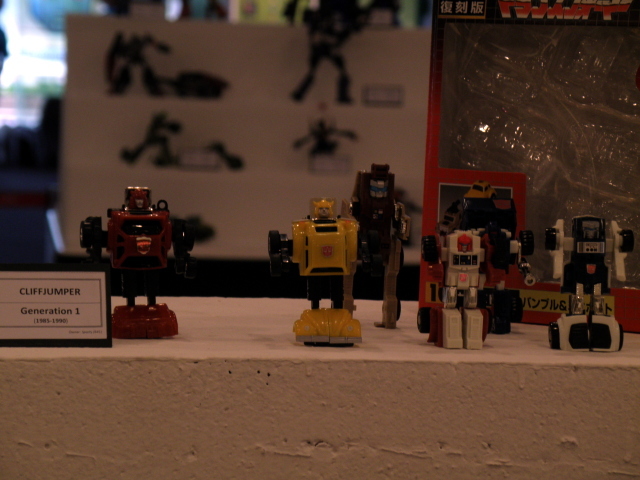 The first day of the Transformers Convention starts with a bitsy tweak on the displays. 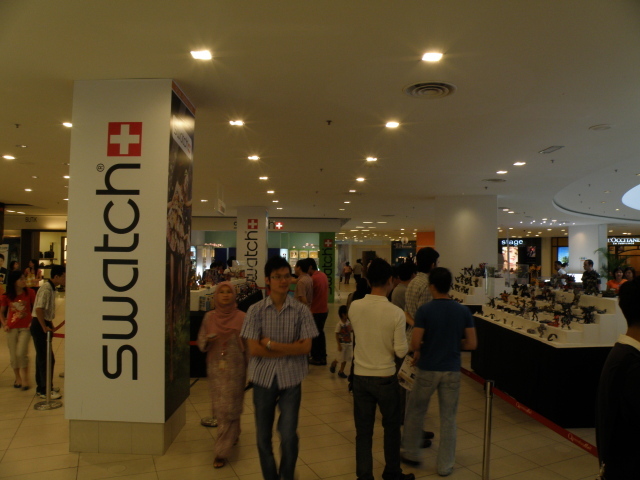 Had little time to take some of a few exhibits using software panaroma. At the very last minute of the Transformers Convention, the TransMY crew before bracing for the flux of curious visitors for the Transformers Convention. Double checking the list of transformers. Making a last video recording before the Convention goes into full swing. 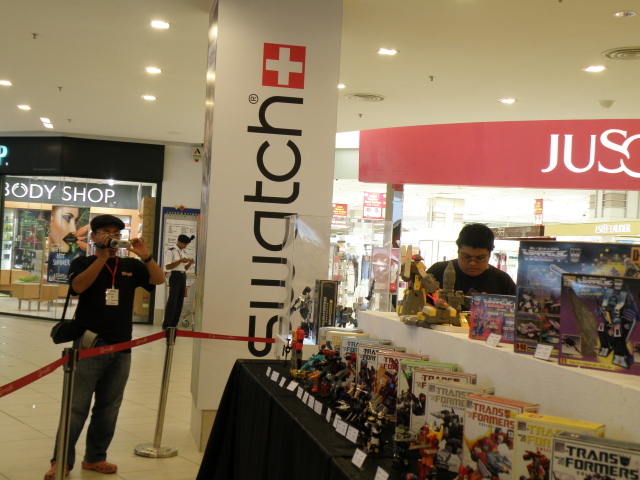 Transformers convention is never sweeter when curious and eagered visitors feeds their eyes with transformers eye candies. 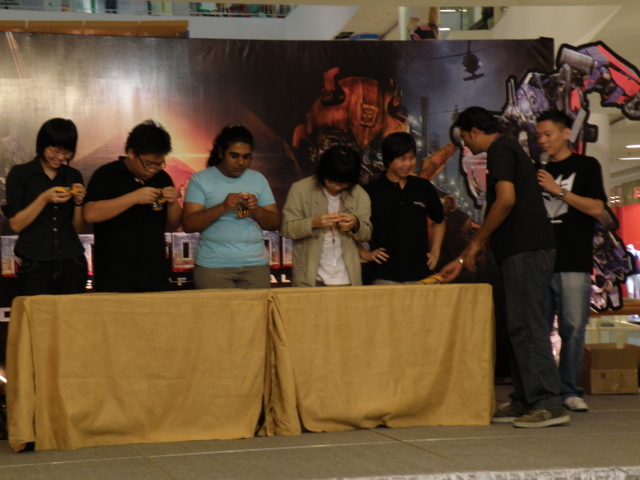 Another group of visitors of Transformers Convention. 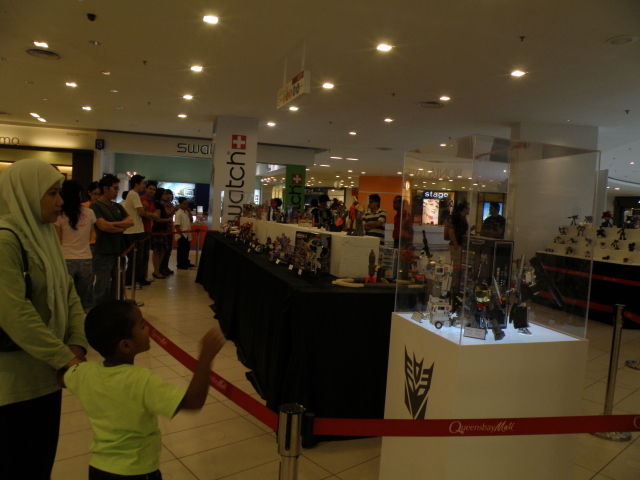 A young visitor being indoctrinated into a Transformers fan. 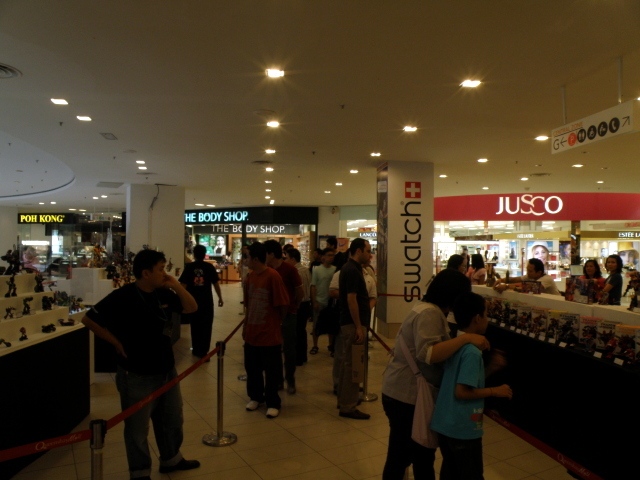 To answer questions of inquisitive visitors, our crew is ever ready to give an enthusiastic explanation. 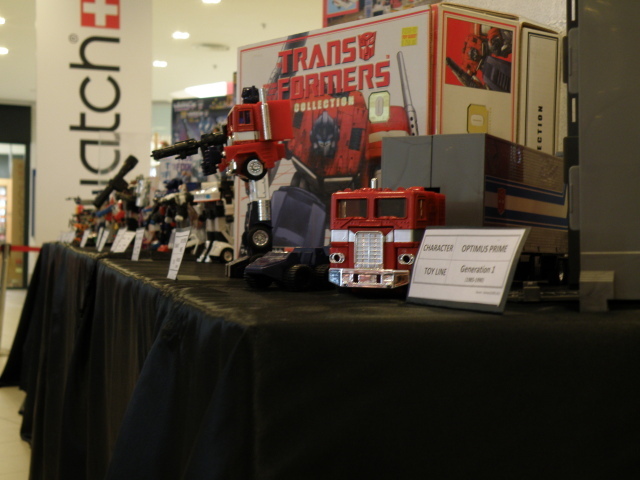 Our crew member enthusiastic shares his passion of Transformers G1. 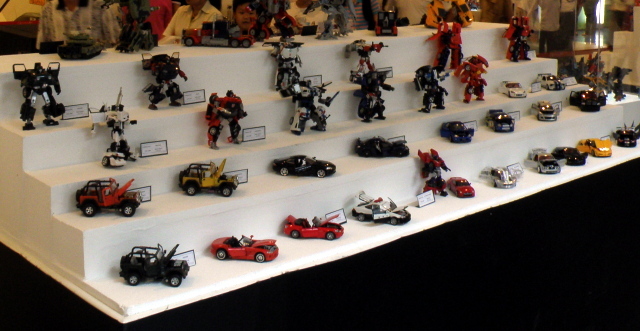 There are various toy lines of Transformers is being displayed at the Transformers Convention. BinalTechs realistic diecast car model Transformers. G1 reissues that started the Transformers craze. 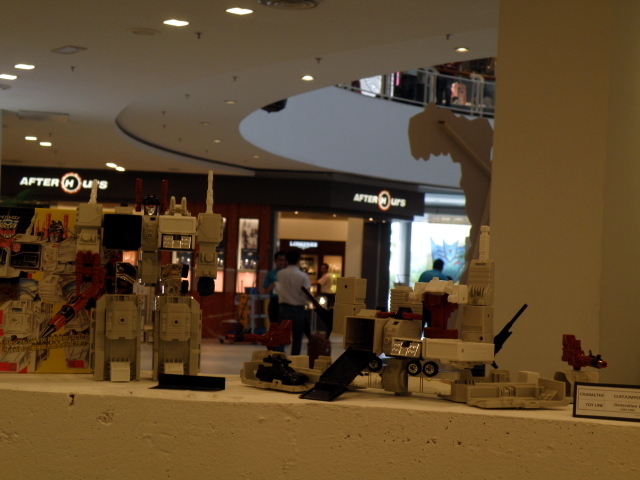 Metroplex, first Autobot transformable fortress. Thanks to advanced manufacturing and material innovation, newer Transformers toys other than transformable, it also becomes durable. 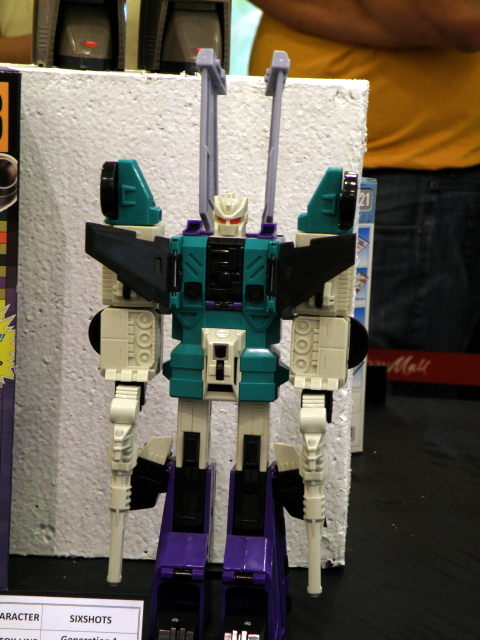 Example of those articulated and transformable Transformers toy line is Transformers Energon series. With advent of better manufacturing and design technology, Transfomers toy makers and Hasbro has answer to it Fans dream to a perfect transformation, highly detailed every collectors must have collectible toy, The MasterPiece series. 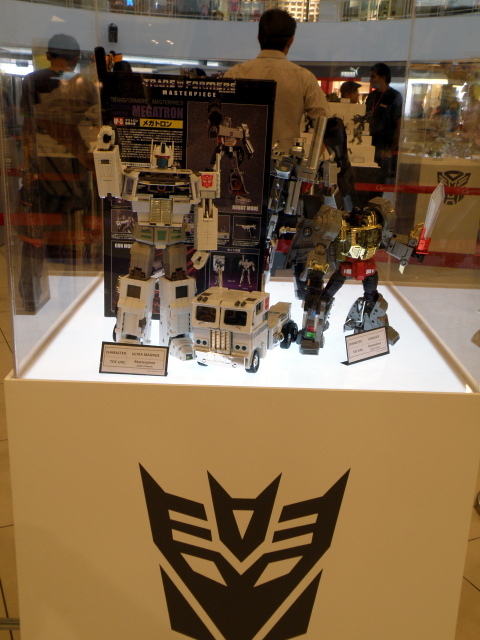 And Yes, Transformers Convention at Queensbay Mall has those toy lines displayed on this special occasion. 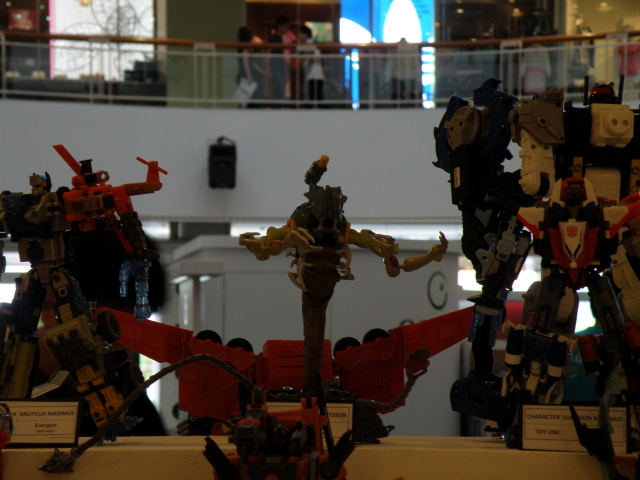 Masterpiece Ultra Magnus and Grimlock. 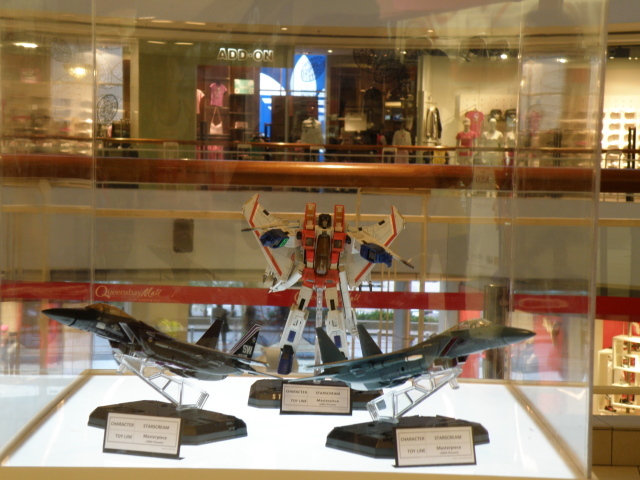 Masterpiece Starscream and its seekers. 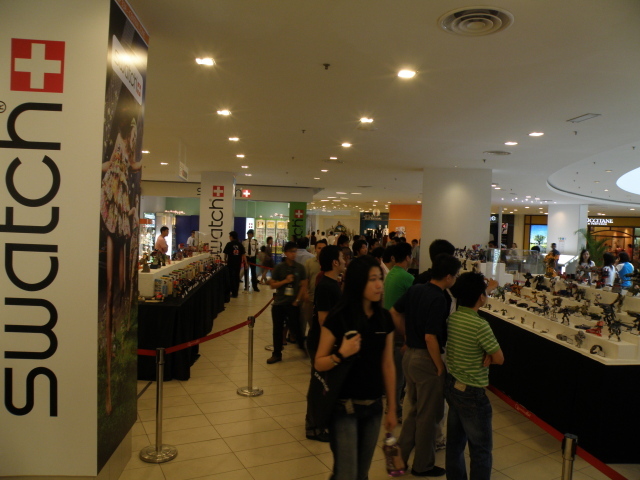 To spice things up, Queensbay Mall has orgnize many more activity such as transformation competition and a look alike Mikaela contest. 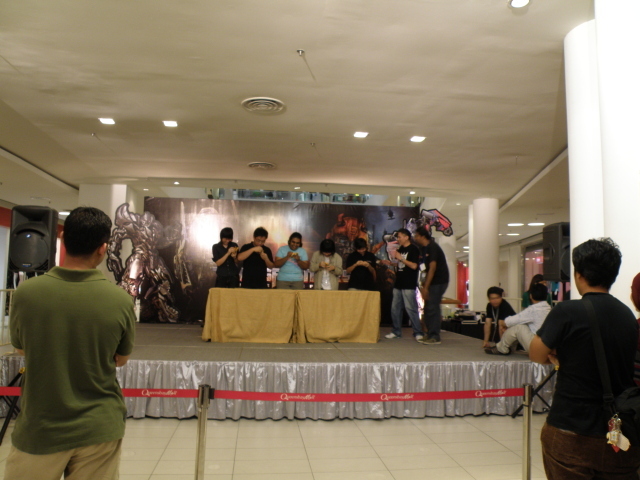 This entry was posted in Announcements, My Hobbies, Social Event, Transformers and tagged autobot, competition, convention, Decepticon, hasbro, hasbro transformers, look alike Mikaela, ROTF, takara, takara tomy, transformer, Transformers, Transformers Convention, transformers convention at queensbay mall penang by KarMeng. Bookmark the permalink.